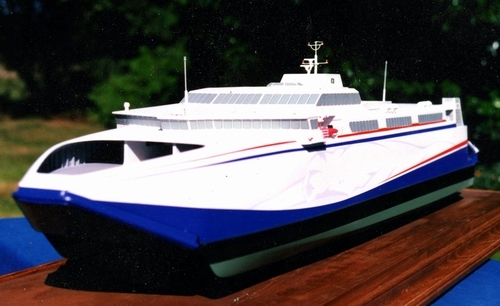 The building of the three PacifiCat Catamaran Ferries (left) commenced in 1996 and the first one was launched in 1998. 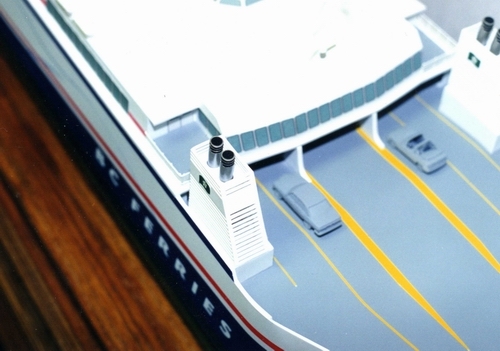 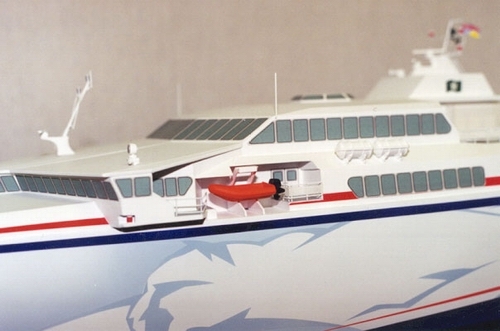 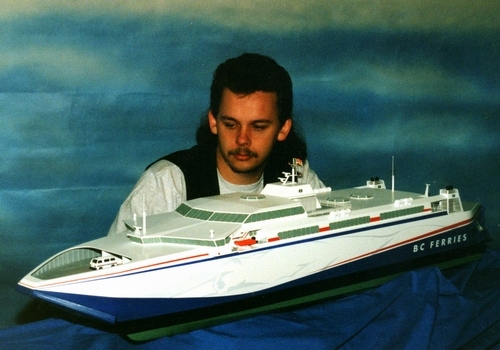 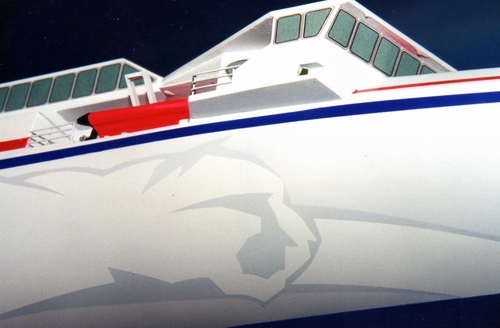 Although it was a very good project for us as the model builders, the program seemed to have it's problems right from the start for the Ferry Corporation. 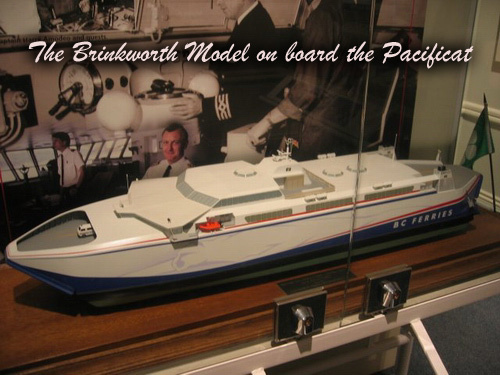 Philip Hercus of Australia were the hull designers, and Robert Allan Naval Architect Vancouver was in control of the outfitting of the vessels. 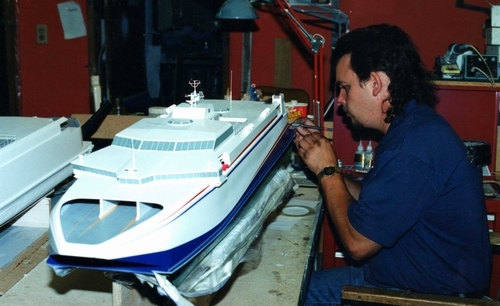 We were involved in building four 1:100 scale models (below) and some planning models at the interior design stage.